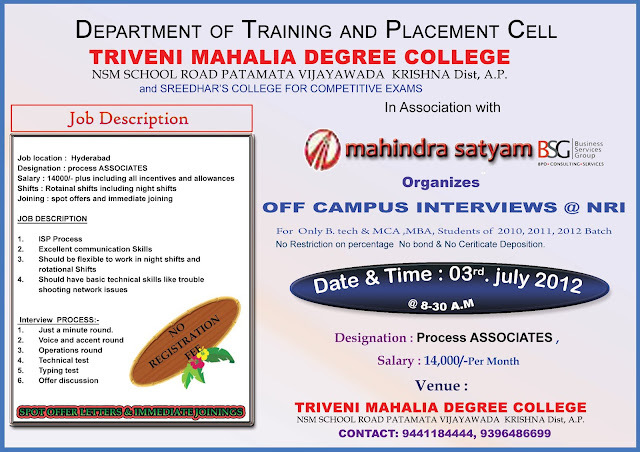 Mahindra Satyam: Walk-in On 3rd July 2012 From 8:30 AM Onwards @ Triveni Degree College, Vijayawada. Should be flexible to work in night shifts and rotational Shifts. Should have basic technical skills like trouble shooting network issues.